You are to be congratulated on the caliber of this web site. I enjoy going through every page on a regular basis and by doing so, I feel connected to my "roots". On behalf of myself and a few other persons, I was wondering if this site could be used to attempt to establish contact with persons who were in the class of '51 at P.S. 106 Queens as we are attempting to put out feelers for a possible reunion of that class. Many thanks for your consideration and of course for this site. 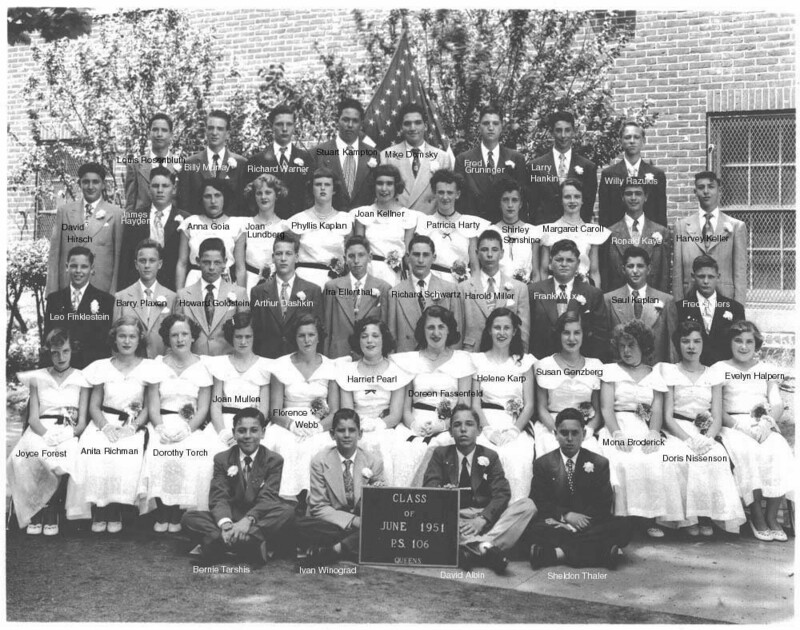 Below is a more recent photo of Richard along with some of his 1951 classmates. 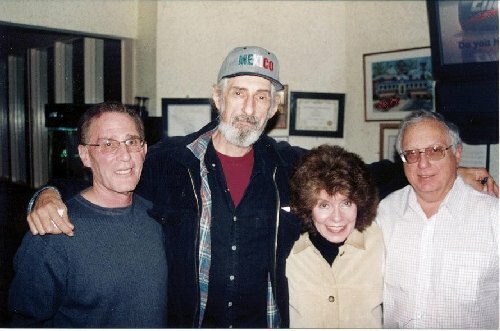 Left to right: Richard Schwartz, Larry Hankin, Doris (Nissenson) Blum and Sheldon Thaler.